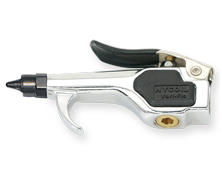 Nickel Plated Brass Safety Tip: Multiple holes create a venturi effect, which increases air flow and working capacity. Nickel Plated Brass Safety Tip: General purpose tip for blowing away dust, chips, etc. Air Screen Tip: Nickel plated brass tip provides a conical air stream around the center air stream to minimize dust and chip blowback. Nickel Plated Steel Straight Extension Tips (3", 6", 8", 10", 12", 16", 18", 24", 30" & 36"): Good for getting into high or hard to reach places. Made from a brass base with a rugged steel extension tube, all nickel plated. 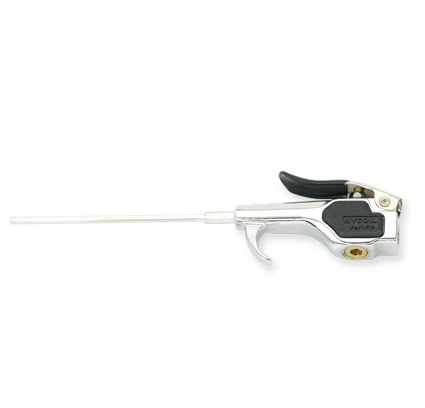 Whisper Tip: Nickel plated brass tip produces a high volume of concentrated air and a low noise level. 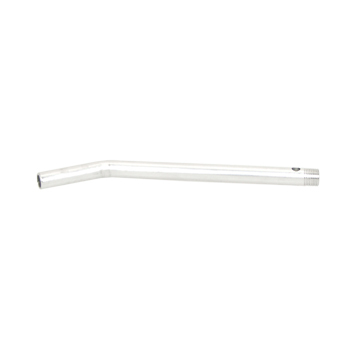 Aluminum Straight Extension Tip (24"): Made from lightweight aluminum for easier use and to prevent sparking. Can easily be bent or cut to any length.